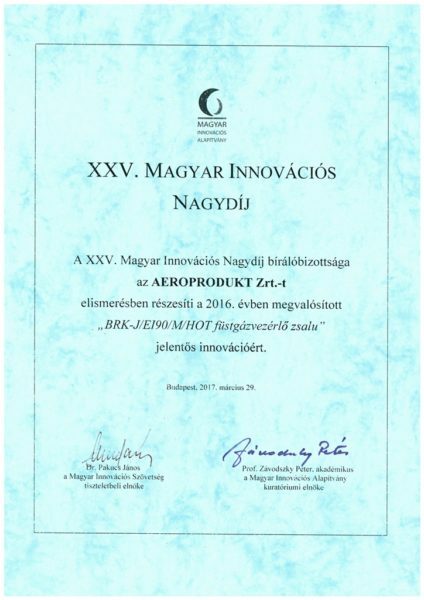 The Magyar Innovációs Alapítvány together with the Magyar Innovációs Szövetség announce the 25th Magyar Innovációs Nagydíj competition. Of the 38 received entry, 32 innovations earned reward for the achieved results in 2016. The committee selected the winners based on the economic indicators, achieved extra revenue and social utility. We entered the contest with our CE certified BRK-J/EI90/M/HOT/G smoke control damper. The product is available in upto 1500x1500mm size, which is the largest in Europe. The prestigious event was held in the Parliament at the end of March, where the XXV. 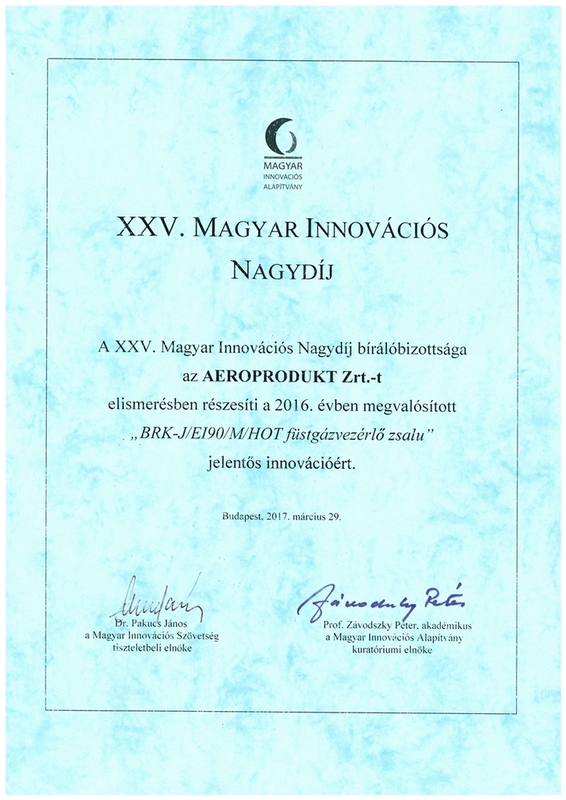 Magyar Innovációs Nagydíj committee rewarded the innovative and successful products of 2016.